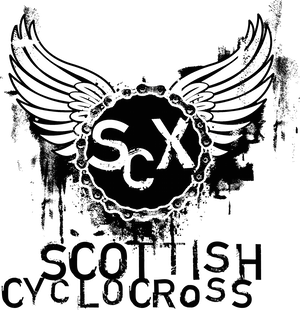 Just a reminder that this weekend is the cyclocross race at Scotlands favourite course. 9:00. Course open for practice. 9:45. Event registration for U12 closed. 9:50. Practice on U12 course closed. 9:50. Riders in U12 will be asked to assemble at start line. 10:00. U12 start. Distance will be 15min. or as close as possible. 10:20. Presentation for 1,2,3, boy and 1,2,3, girl. In U12 race. 10:20. Course open for practice. 10:30. U16 event registration closed. 10:35. Course closed for practice. 10:35. Riders in U16 will be asked to assemble at start line. 10:45. U16 start. Distance will be 30min. or as close as possible. 11:20. Presentation for 1,2,3. In U16 race. 11:20. Course open for practice. 11:30. Event registration for Jun/Vet/Woman closed. 11:35. Course closed for practice. 11:35. Riders in Jun/Vet/Woman will be asked to assemble at start line. 11:45. Jun/Vet/Woman start. Distance will be 40min. or as close as possible. 12:30. Presentation for 1,2,3. Jun. 1,2,3. Vet. 1,2,3. Woman. 12:30. Course open for practice. 12:45. Senior event registration closed. 12:50. Riders in Senior race will be asked to assemble at start line. 13:00 Senior race start. Distance will be 60min. or as close as possible. iwas involved & raced in the inaugural first scottish national cyclocross championship at auchintoshan in 1987 run by the glasgow united cc which i was a member. i have been away from the cycling game for about 15 years to long.ive been a delegate at the scu agm on behalf of G.U.C.C. too many restrictions at the scu committies & agms its time to come back and help fight the cyclo cross corner james g.u.c.c.